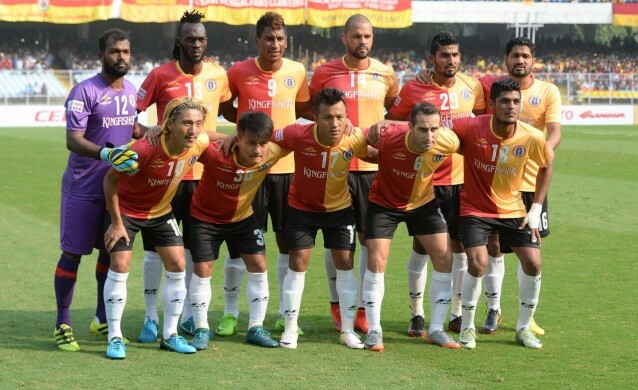 As the Red and Gold brace for a Kolkata Derby that could make or break their title quest we look at the lessons they must learn from their last defeat. East Bengal were termed as contenders right from the start of this year's I-league campaign. The Red and Gold started their campaign with a draw and they also lost to their fierce rivals, Mohun Bagan in the 1st Kolkata Derby of the season. But, since then there has been a complete turnaround for Khalid Jamil's side as his team came back with four back-to-back wins and has not lost a match since then. So East Bengal who are sitting in the 2nd position of the league table will look to close down on league leaders, Minerva Punjab. But, the Red and Gold will be up against fierce rivals Mohun Bagan who have lost their way after the first Kolkata Derby win and will look to get back on track with this win. So things will not be easy for Jamil and Co. and hence he will hope that his team does not repeat the same mistakes that they made in the first derby loss of the season. With that in mind we bring you five things that EB must change from the last derby to win this one. Khalid Jamil went with a 4-1-4-1 formation in the first derby with Willis Plaza being the lone forward and Bazie Armand playing as the defensive midfielder ahead of the back four. He also benched experienced India international, Arnab Mondal. Arnab has been with the club for a long time and being a native he knows the importance of this historic fixture and what it takes to win. Jamil may opt for a different formation as he has new forward Dudu Omagbemi at his disposal and he can pair him up with Plaza upfront. In the last derby, the midfield battle was dominated by Mohun Bagan and especially Yuta Kinowaki who pulled all the strings in midfield and did not allow Armand to settle. he also cut out the passing lanes which connect Mahmoud Al Amnah and Katsumi Yusa to East Bengal forwards. But to Jamil's advantage Yuta has been sidelined with a collarbone injury and although he has returned to training, his presence in the next game still remains in doubt. Right-back Lalramchullova has performed really well in the last few games and Jamil should definitely give him a start. So, that he can neutralize the Mohun Bagan's threat from the flanks. East Bengal played second fiddle to Mohun Bagan in the first derby and hence the Mariners took charge of the situation and created a lot of opportunities in the first half. The Red and Gold were really slow to get themselves out of their own box and their build-up play was also which allowed opposition players to get back to their positions. 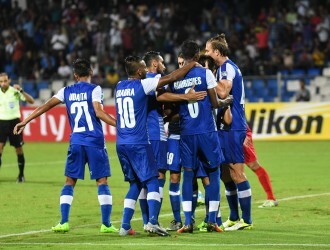 Players like Amnah and Katsumi were looking to connect with players like Brandon Vanlalremdika and Laldanmawia Ralte on the flanks but Yuta who was brilliant with his keen reading of the game, intercepted most of the balls. So, East Bengal will hope that they maintain higher intensity and should not allow too much time on the ball for the Mariners from the start. East Bengal have been been guilty of conceding a lot of goals this season. Most of the times they have failed to keep a clean sheet. It is a certain record they will look to improve in their coming matches and they need to be very aware of Mohun Bagan's new forward Akram Moghrabi who can pounce on any loose balls uncleared by the defence. So, Jamil will hope that his defenders do a good job and don't allow Bagan forwards time on the ball. Eduardo Ferreira who has been rock solid at the back of the Red and Gold backline will have a crucial role to play in this match. Although, Sony Norde will not be on the pitch to pose a threat, players like Moghrabi and ser Dipanda Dicka can punish the opponent for their slightest mistakes. East Bengal were second best in several aspects in the first derby and they will hope that they do not do the same mistake this time around. Mohun Bagan controlled the midfield with Yuta Kinowaki playing one of the best matches in his career. He neutralised the threat of Al Amnah and Katsumi Yusa in midfield by intercepting their through balls and breaking their connection with the wingers as well as Willis Plaza. So, due to Yuta's shrewd game reading and presence the East Bengal midfield failed to penetrate through Bagan's defence. This time round Jamil will hope that Dudu's arrival and shifting Katsumi to the wings will help his team to penetrate their rivals' defence. Amnah will hope that he has enough support to allow him to move freely and pull the strings from midfield. A major attribute which was missing from East Bengal's in the first Derby was their shooting boots. Plaza and Co. missed a lot of chances in front of goal. The team were slow to get out of the blocks but in the 2nd half they created numerous chances to score. 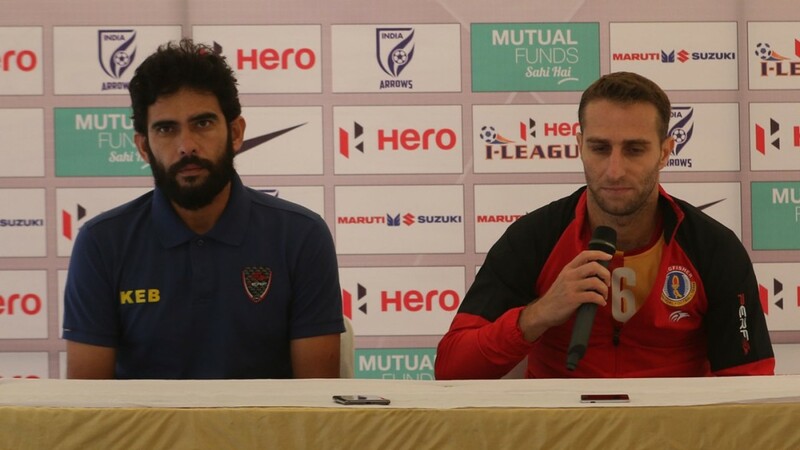 Jamil will hope that this area is secured as they have signed new foreigner Dudu as a replacement for Charles Souza and the Red and Gold will want the Nigerian's towering presence and physicality to create disturbance in the Mohun Bagan defence and hopefully this time they will take all their chances.